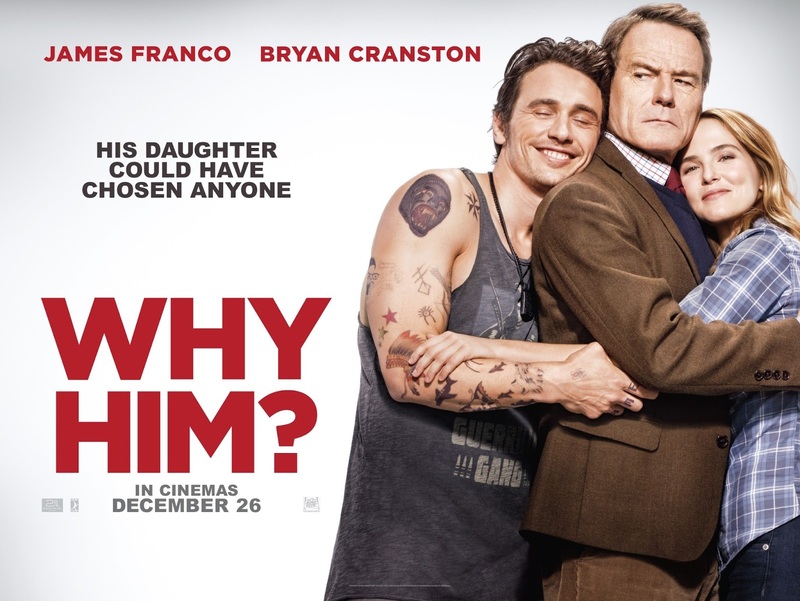 Ahead of the exciting release of WHY HIM? on Boxing Day, Twentieth Century Fox has released a brand new clip from the film starring James Franco as the socially awkward Silicon Valley billionaire boyfriend, Laird. Over the holidays, Ned (Bryan Cranston), an overprotective but loving dad and his family visit his daughter at Stanford, where he meets his biggest nightmare: her well-meaning but socially awkward Silicon Valley billionaire boyfriend, Laird (James Franco). The straight-laced Ned thinks Laird, who has absolutely no filter, is a wildly inappropriate match for his daughter. The one-sided rivalry—and Ned’s panic level—escalate when he finds himself increasingly out of step in the glamorous high-tech hub, and learns that Laird is about to pop the question.